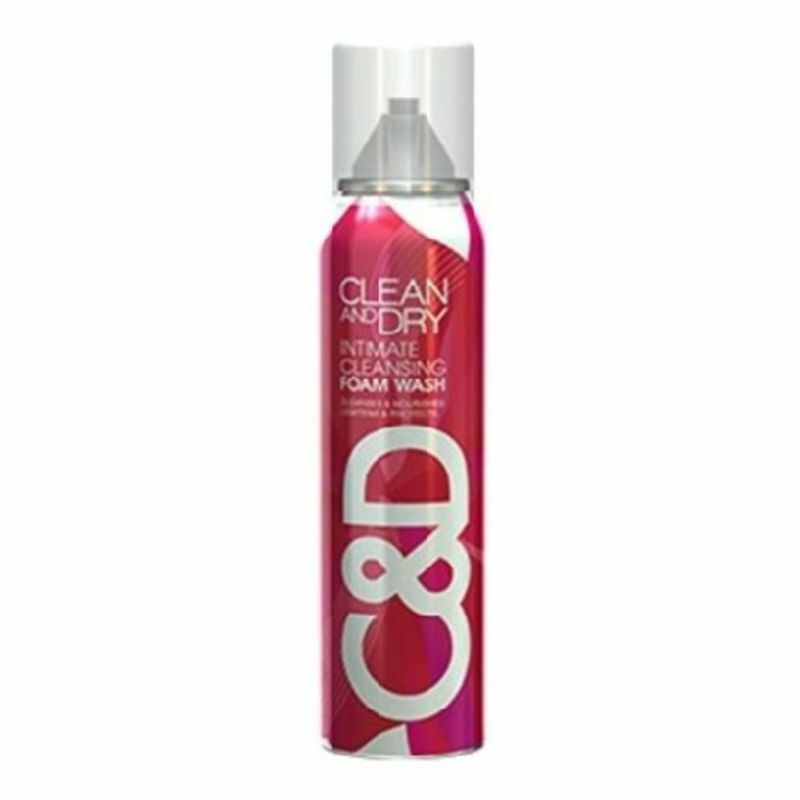 Clean and Dry Intimate Cleansing Foam Wash Wash is the first of its kind in India. Clean and Dry Wash is part of a revolutionary range of products for feminine hygiene. It protects and cleanses the vaginal area while maintaining the necessary pH balance. The foam wash contains Aloe Vera that nourishes, vita B3 which helps in removing dullness, and T-Tree oil which protects your sensitive skin down there. It makes you feel fresh and special every day. The most advanced product of its kind in India, matches and surpasses the best in the world. Unbelievably light, foamy, luxurious cleansing like never before. CND Intimate Foam is an amazing innovation in the Clean and Dry range - trusted by over 5.5 million women across India. Its cloud like texture offers ultra gentle cleansing. It caresses the vaginal area with its goodness, soothing it and keeping it safe from infections and its symptoms like rashes, burning, odour, white discharge and other symptoms of vaginitis. It also helps protect from vaginitis and other symptoms of fungal infections. Helps remove unnecessary dark pigments that have settled on the intimate skin and brightens it for a fresh, healthy look. You feel fresh and healthy in your intimate area and glow with the confidence of using probably one of the most fascinating intimate foam washes in the world. Warning: Regular use of ordinary soap which does not have the right pH Balance for this ultra sensitive skin area can cause more damage and extra unwanted dryness. Get bikini ready: Feel confident to step out onto your favourite beaches in your sexiest bikinis, CND Foam is perfect for when you wish to shave your intimate area. It is soft, smooth and very very gentle. Plus of course, protective. While having a bath all you need to do is cleanse your intimate area with this special, luxurious textured foam wash. It would probably take you just a few minutes but provides you with that pampered, looked after feeling all day. During a bath, after using an unhygienic toilet seat, before getting intimate with your partner, to shave the intimate area or whenever you wish to feel extra special and pampered down there. Explore the entire range of Intimate Hygiene available on Nykaa. Shop more Clean & Dry products here.You can browse through the complete world of Clean & Dry Intimate Hygiene .